For Logan and Luke Grant, farming is more than a job or a hobby. It’s in their blood. From the time they could walk, the brothers tagged along when their father fed the calves. When they were older, they helped him cut hay. They were operating tractors long before they were old enough to get a driver’s license. Luke Grant, 20, and his brother, Logan, 23, each dreams about buying his own land and farming full time. But they are taking different paths as they navigate obstacles that deter young people like them from becoming farmers. Logan wants to own and operate an organic farm. He said he likes the idea of growing food for his neighbors to eat, and he can’t imagine doing anything else with his life. But for now, Logan works full time at Columbia Gas. From eight to five, Monday through Friday, he services gas lines around Rockbridge County. On the side, he operates a mowing business to save money. Luke Grant works with his father to take care of the family’s cattle. He looks after the newborn calves and tends to the crops that are used to feed the livestock. Luke has about 100 head of his own cattle that he keeps on various properties that he rents. 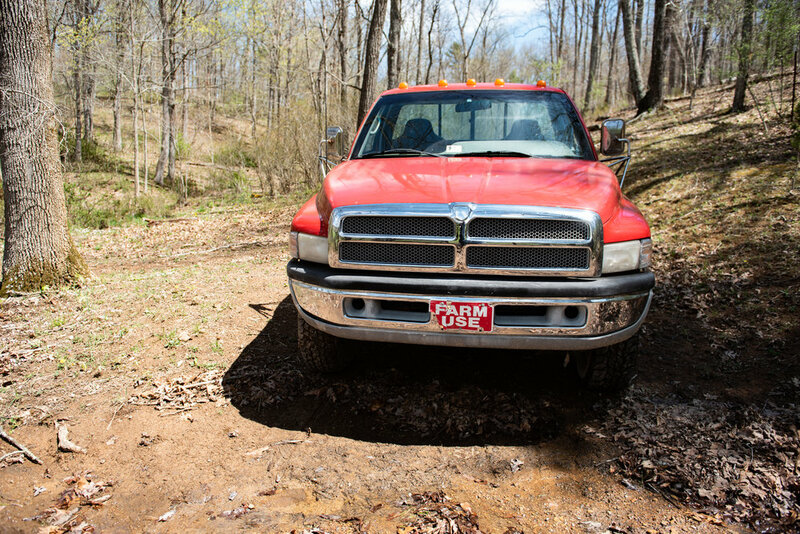 Land available for sale or lease is scarce in Rockbridge County. It’s also expensive. The rocks dotting the local landscape make it difficult to grow crops, so many farmers in the area raise livestock instead. Most farmers in the area know each other. When land becomes available, they hear about it quickly. It gets tricky when farmers vie for the same property. “I got a lot of people looking out for me and stuff, which helps out a good bit,” Grant said. “I just hate the competition factor. Because you want to like everybody and help everybody out." 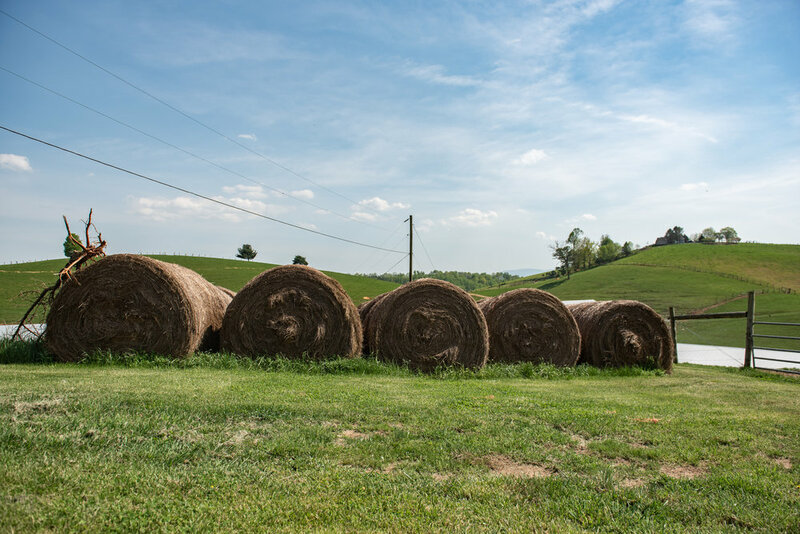 The real estate tax rate in Rockbridge County is higher than neighboring Bath and Augusta counties, creating yet another obstacle to buying land. Sometimes land leases require the payment of real estate taxes as rent. Once farmers acquire land, they must navigate financial obstacles such as securing funding to buy equipment, animals, feed and the technology required to run a successful farm today. Young farmers often need a job in another industry or what they call a side hustle to supplement the little, if any, income they are making from their families’ farms. Sixty-one percent of principal farm operators work another job in addition to farming, according to the U.S. Department of Agriculture’s 2012 census. Aspiring farmers also can’t get their starts because older, more established farmers aren’t ready to relinquish control of their operations. “Farmers are kind of weird because they’ll hold on to it till the very last day,” Grant said. USDA statistics prove it: Farmers who are 45 and younger own less than half of all U.S. farms. The number of farmers over the age of 65 has increased by 57 percent over the last 34 years. Young people are farming, but they aren’t in control of the farms. Grant said he appreciates the challenges of starting a farm. He watched his parents, Richard and Angie, build their farm from scratch. Neither of his parents came from an agricultural family, although his father has a logging background and his mother has always owned horses. When they first started farming 30 years ago, the Grants had three calves on a few acres of land. Richard Grant worked various side jobs to afford to buy and lease more property. Today, his parents own 90 acres of land and lease another 1,400 acres scattered around the county. Richard Grant, 55, still logs with his father in the mornings before tending to his cattle and crops in the afternoon. Angie Grant, 52, owns a hair salon and rents out a yurt on Airbnb to supplement the farm’s income. The Grants graze their cattle until they are weaned and then sell them through the Staunton Union Stock Yards to feedlots out West where the livestock are eventually sent to slaughter. They would need more land to fatten up their herd to avoid sending them elsewhere. Luke Grant is following a similar path. He still works on the family farm, but he makes extra money by doing odd jobs, from helping other farmers ensure the safe birth of a calf to hauling cattle to the stockyard to fertilizing crops. He remembers working for one farmer on a school night. 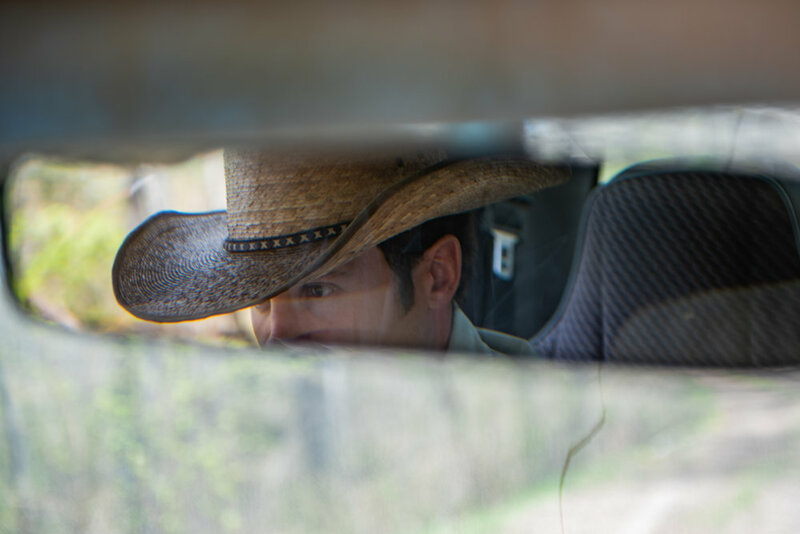 “No radio, no air conditioning … and I chiseled plowed ground until 3 o’clock in the morning,” Grant said. “I was 13, and then the next day I got up and went to school." He left public school in the 10th grade and started home schooling so he could spend more time working on other farms. Like his older brother, he is saving the money to one day afford property of his own. He aims to save between $50,000 and $100,000 to afford a couple hundred acres of land. To succeed, today's crop of aspiring farmers said they must master the economic side of the industry. "There's not too many dumb farmers who stay successful, if you know what I mean," Logan Grant said. He earned a degree in business management from Blue Ridge Community College, studying topics from accounting and business law to marketing and entrepreneurship. Luke Grant took agriculture business classes online through the Farm Credit of the Virginias. “In my mind, 50 percent of farming is doing the work and 50 percent of it is management,” Logan Grant said. Bobbi Loudermilk, branch manager of the local Farm Credit office, works with farmers to apply for loans to lease land or buy equipment. She also helps them set up a business plan so they don’t take on too much debt too fast. Farm Credit offers targeted loans for young and beginning farmers to fund some of the initial startup costs. It defines a young farmer as someone 35 years or younger and a beginning farmer as someone with no more than 10 years of agriculture experience. They also offer a youth loan program for members of Future Farmers of America and 4-H to fund agricultural projects. The USDA offers similar programs for farmers whose commercial loan applications were turned down based on bad credit or a lack of income. USDA and Farm Credit are among the agencies that support young farmers. Tom Stanley works at the Virginia Cooperative Extension office in Rockbridge County, a research, development and education program run by Virginia Tech and Virginia State University. Farmers must compete with retirees moving to the area, developers and others seeking prime real estate. Like the Grants, Jordan Taylor grew up on her parents' farm and wants to raise beef cattle and lambs for show. She helps her parents with their farm properties when she can. But most days she works a full-time job at the Augusta Farmers Co-op in Fairfield. In 2016, doctors diagnosed Taylor, 22, with ulcerative colitis after she became seriously ill and almost died. She relies on her job at the co-op for health insurance to pay for her medication. Taylor, who was home-schooled, began working at the co-op part time when she was 16. She said she doesn’t know if she’ll ever be able to quit her job at the co-op and farm full time. Taylor would lose at least $600 if a calf were to die during birth or were to get sick. She could lose more than $1,200 if a full-grown heifer were struck by lightning or hit by a car. The estimates do not take into account everything she spent caring for the livestock, including feed and labor. At times, Taylor said she questions her commitment to farming. In December 2015, Madeline Dunn and Chamberlain Wyant were college students, studying biology and economics. Within a few months, they were slopping pigs and raising chickens for a living. "At first, it was kind of just like a joke," Wyant said. "After a while I just really felt like that was the right thing for me to do." As young people face an increasing number of options – internships, jobs, military careers, gap years, college – many are choosing a different lifestyle: farming. 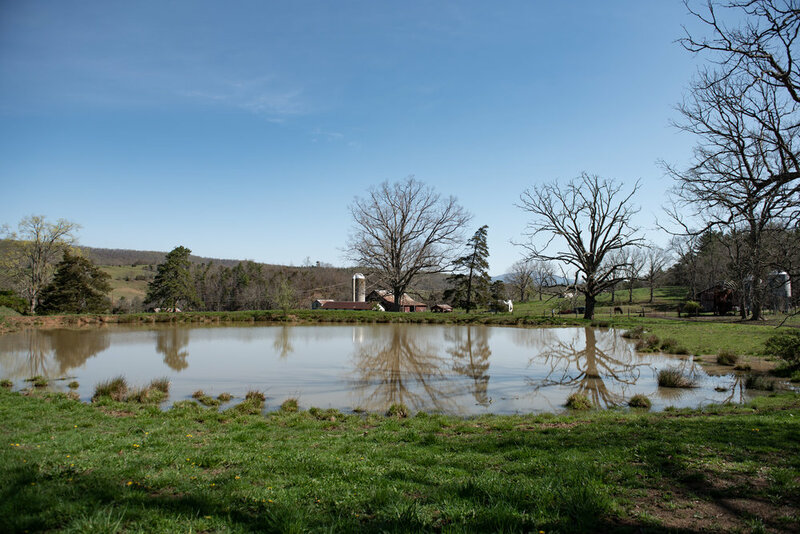 For Dunn and Wyant, the philosophy of caring for the land and growing their own food led them to leave Washington and Lee University and pursue farming. The two met in their freshman year of college. Wyant, who grew up in Pensacola, Florida, is the first person in his family to attend college. Dunn, a Savannah native, dabbled in homemade skincare products in her spare time. She watched documentaries about food and how it affected people’s health, and she shared her discoveries with Wyant. They decided to leave school to work on a farm, where they could learn firsthand about the agriculture industry and put their mantra of “good food and hard work,” as Wyant called it, to the test. Their first farming experience in January 2016 took them to Spring Valley, Minnesota, where they spent the next eight months working the fields of a 12-acre vegetable farm. They each earned $800 a month, living and working on the farm five days a week. In the fall, they found another internship through ATTRA, one of several online databases for sustainable agriculture internships. The couple then moved to a sheep and vegetable farm in Sandersville, Georgia. There, Wyant said, they joined a community of young farmers like them who had left college to pursue farming. More than 17,500 people “WWOOFed” in 2017, said Samantha Blatteis, the group's membership program manager. Eighty-five percent of them were between 18 and 34 years old. 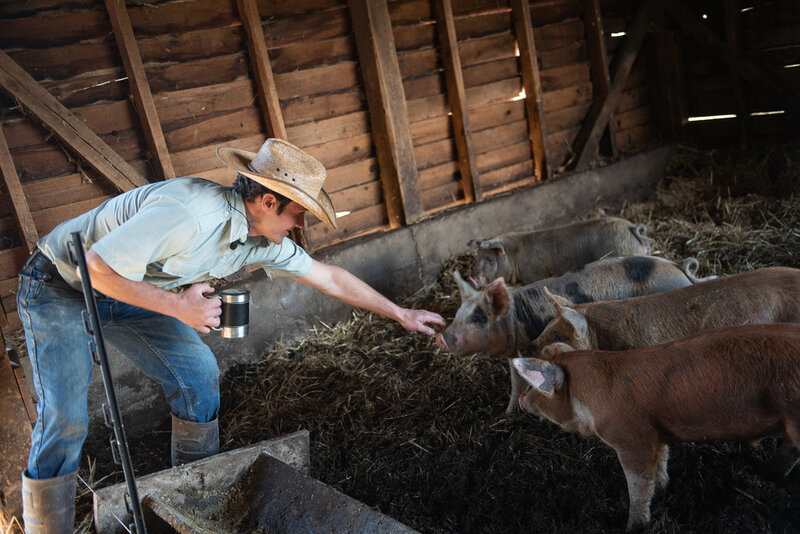 "I think the philosophy of living on a farm was a really important aspect of it for me," said Rhys Davis, a 2017 graduate of Ohio State University, who began an internship at Nelson County’s Little Hat Creek Farm in April. "It’s the life of being outside a lot. It’s the life of helping people get good food that is healthy." He graduated with a degree in mechanical engineering in December but said he declined offers from engineering consulting firms to try farming. Davis is planting crops, rebuilding a chicken coop and running a market stall at the Lexington farmers’ market. For him, working on a farm means putting his principles about food and environmentally conscious agriculture into practice. Davis said he is not convinced he’ll give up on engineering, and is considering going to graduate school for resource management. For now, he said he's open to learning more about farming. Dunn and Wyant would like to someday start their own farm. But they have decided to continue working on other people’s properties. In March, Wyant began working full time as a farmhand on Calvin Stoltzfus’ Bells Valley Farm in Goshen. Dunn returned to Washington and Lee in January 2017 to finish a biology degree, but cares for gardens at Bells Valley and W&L. “I think farming is more than a job. It is a life and a lifestyle. So, I think it is something that we will always have and always go back to,” Dunn said. There are other ways to get into farming. Many local young people between five and 19 years old join 4-H, a nationwide program with agricultural roots. Megan Sheets, director of the Rockbridge 4-H chapter, said more than 400 children were involved with the local chapter in 2017. Isabell Grant, 18, the youngest of a family of farmers, began showing sheep, goats and cattle with the Rockbridge 4-H program at state fairs and local livestock shows when she was a little girl. 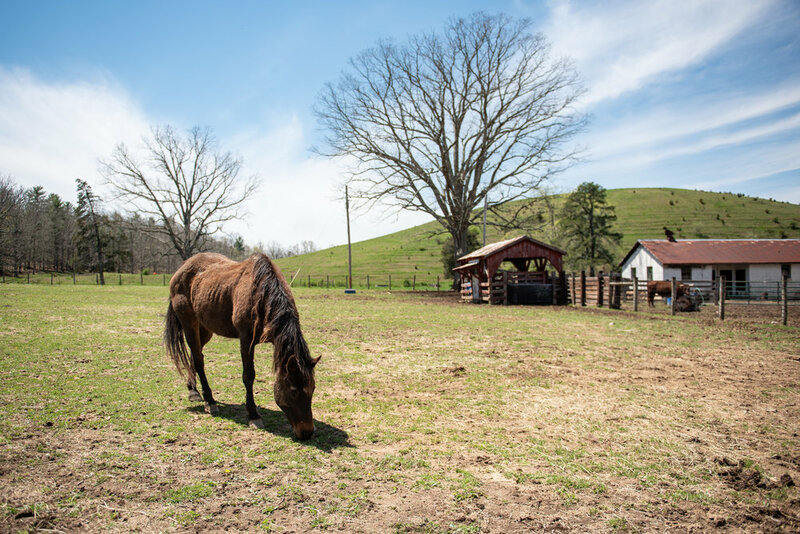 She said she rents a couple acres of pasture fields and a five-stall barn in Raphine that she visits twice a day to care for her horses, Jetta and Folton. Grant bought Folton after taking out a $4,500 loan from Farm Credit's youth agricultural program, which allows members of 4-H and Future Farmers of America clubs to borrow for small agricultural projects. Christine Taylor and her boys are starting several small projects on a four-acre farm she bought a year and a half ago. Taylor, 54, a single mother of 10 kids, bought Sidling Hill Farm in Millsboro, Virginia, for $210,000 so her six youngest boys could try farming. 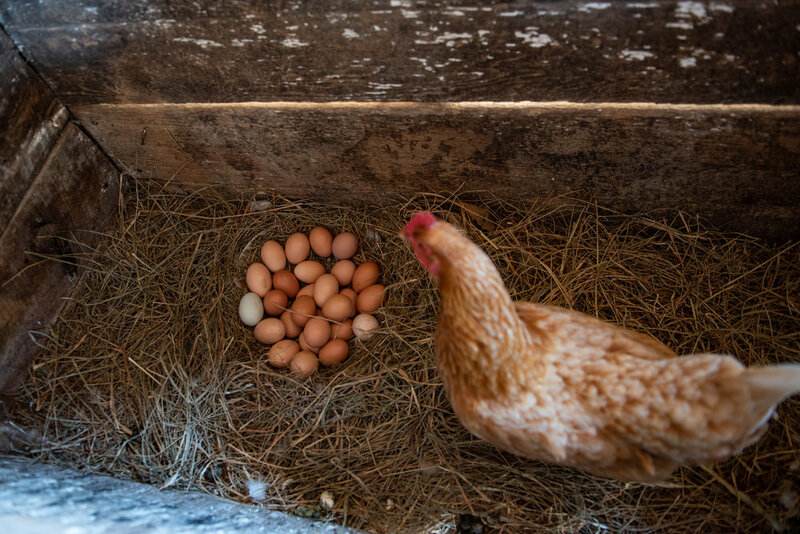 The family moved from a suburban housing development near Lexington, and now have 26 chickens, three cats, two ducks, two sheep and a dog named Coconut. William is finishing his last year of home schooling with his mother and works part time for Washington and Lee's catering services. He plans to join his older brother Brody at Virginia Military Institute this fall. Christine Taylor, who holds a computer science degree from Penn State and served in the Air Force, encourages her sons to pursue higher education and military careers. But, having grown up around farms in Pennsylvania and maintained organic gardens for 16 years, she also wants her children to get their hands dirty outside. The boys turned to books, YouTube videos, online articles and neighbors for help. They also learned a lot through trial and error. 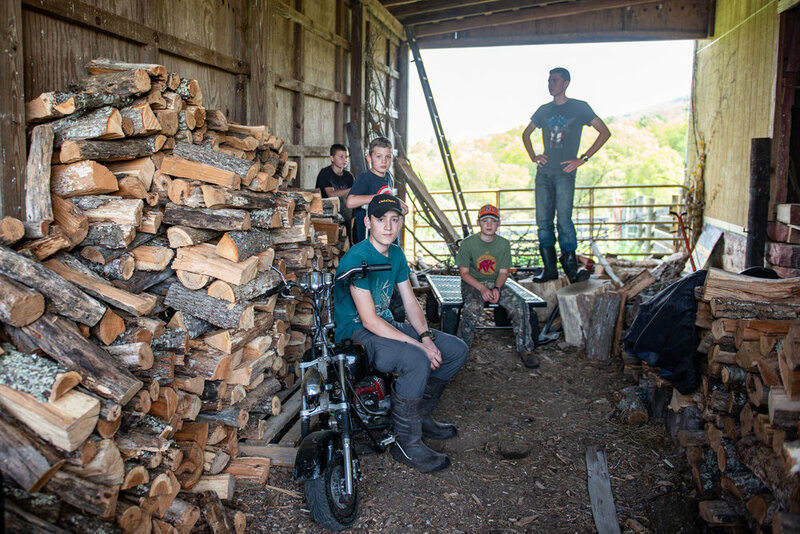 During their first winter on the farm, the boys had to chop enough kindling to keep the house’s wood stove burning. One of their sheep also died. Since 2015, sixth-generation Lexington farmer Kaitlin Smith has been in charge of all things cows for her family's farm, a poultry and cattle operation. “It just happened one day. I was here and Dad said, ‘You know what, just do the cows. They're yours, have at it,’” she said. The shift in responsibility allowed her father to concentrate on their 12,000 all-natural turkeys, which are sold through the Virginia Poultry Growers Cooperative to the likes of Whole Foods Market Inc. and Applegate, which sells natural and organic meats. Smith launched her own cattle breeding business, Rockin’ K Cattle, with Charolais, a niche breed known for their all-white coats. She artificially inseminates purebreds and shows and sells them at competitions to make money. Jennifer Leech, 33, is another young farmer who returned to her family's farm after graduating from Virginia Tech with a degree in dairy science. Her brother had already chosen to return to the farm. When Jennifer decided to do the same, the Leeches had to come up with new ways to make more money. “As you bring more family members into the farm," she said, "you can’t … still have the same income level." The Leech family owns and leases 2,000 acres southwest of Lexington, where they operate Ingleside Dairy Farm. Six years ago, they needed to upgrade their mechanized milking parlors, which require a person to hook a hose to a cow to obtain milk. They researched robotic milking systems by visiting other farms in Pennsylvania and other states. They liked what they saw, and bought four machines that operate without human oversight. The robots were imported from the Netherlands and installed in specially built barns, where the cows can decide when they want to be milked, 24 hours a day. The upgrade made Ingleside the first robotic dairy in Virginia. Four years later they bought two more robots, eliminating the need for the milking parlors and minimizing their labor costs. Leech said she hasn’t milked a cow herself in about two years. The robots enabled Ingleside to milk more cows, nearly double what the family milked when Leech was in high school. “That’s just maybe a [misconception] that people have about what kind of farm is a ‘large farm,’" she said. "Sometimes you just have to grow. You can’t just milk 30 cows and have all your family here and support their income." Ingleside now sells 25,000 pounds of milk per day to the Dairy Farms of America cooperative, which distributes milk from over 8,500 farms in the U.S. to processing plants and then to grocery stores. But the high-tech machinery hasn’t ensured prosperity for Ingleside. Milk prices fluctuate wildly, and dairy farmers are facing the worst crisis in the last three decades. "We’re getting the same thing we got for milk 30 years ago, and our input costs are not what they were," she said. "Nothing has gone down." The crisis is so dire that Agri-Mark, another major American dairy co-op, included phone numbers for suicide prevention hotlines when it sent its 2018 economic forecast at the beginning of the year. “As a farmer you have to be an optimist," Leech said. "And on the personality test, I’m off the charts optimistic, which I guess is a good thing. If not, I’d get down in the dumps all the time." Being part of a family farm, Leech benefits from her parents’ longer view of the dairy industry. It's what gives her patience to persist. “You can make money in farming," she said. "But you’re not gonna make money every season. There are gonna be times … you’re not gonna break even. And so you have to plan for that." Kaitlin Smith said her cattle business is doing well and she’s been able to stay away from loans. Her goal is to grow the herd without outgrowing family land. She networks with other farmers to build brand awareness at livestock shows from Texas to Pennsylvania to Colorado. Smith also markets through a website and a Facebook page. Descendants of her herd can now be found across the country. Smith said she and her father still work together. She checks on the 12,000 turkeys while he works at the Rockbridge Farm Co-op. He pitches in whenever she needs help cutting hay. As an organic farmer in Goshen, Calvin Stoltzfus doesn’t worry so much about markets or profit margins. To him, farming is about ensuring a good quality of life, establishing self-sufficiency and taking care of the land. He said he grows 90 percent of what he eats. Stoltzfus, 34, came to Rockbridge by way of a 130-acre family dairy farm in Pennsylvania. He first set his sights on a career in farming as early as age 13. He wound up working in construction for three years and then joined the U.S. Air Force after the 9/11 terrorist attacks. Land was too expensive in Pennsylvania and New York, which led him to Virginia. After a few deals fell through, Stoltzfus purchased 370 acres at Bells Valley Farm in Goshen with his father’s help. The property came with barns and beef cattle, but he has added dairy cows, pigs, chickens and crop fields. Stoltzfus, one of seven children, is the only member of his family who continues to farm full time. “Handing a farm down successfully is a huge feat,” he said, referring to family drama that can happen when parents struggle to be fair in splitting up the land. He said people who grew up on farms also can be set in their ways. Stoltzfus said it can be difficult to recruit and keep people who have never farmed. Training them is risky because it’s expensive, financially and time-wise. “I think there is going to be a very high wash-out rate of these kids who didn’t actually grow up with an agriculture background,” he said. But he said he lucked out with Chamberlain Wyant, the former W&L student who works on Stoltzfus’ farm. Wyant and his boss share a commitment to organic farming. Their connection is so strong that Stoltzfus said he’d be willing to turn over some of his land if Wyant is serious about a life in farming. “What’s the other option," Stoltzfus said. "You sell the land to somebody who doesn’t want it and doesn’t take care of it? That’s a joke. I’d sell it for half value if it went to somebody who [really wanted it]." Other young farmers must wait.